Coming soon – new online account services. Manage your account, register for courses, purchase gift cards and more! *Important notice regarding online program registration. 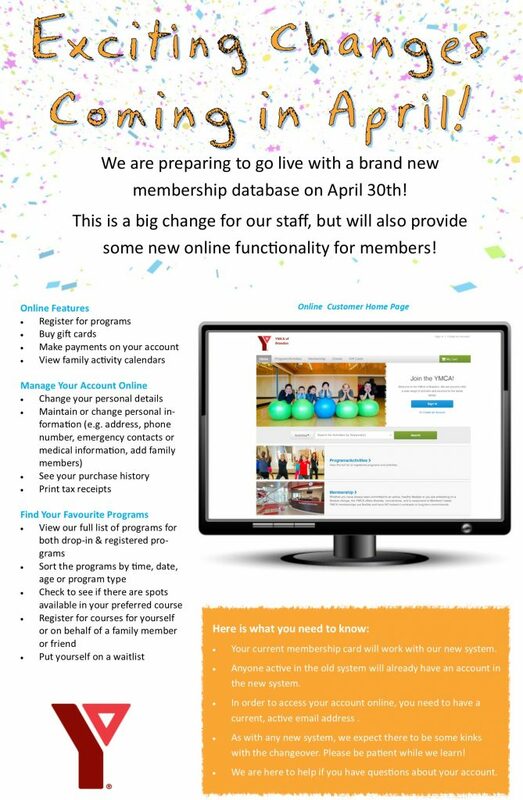 Due to the changeover to our new membership database on April 30th, our current online registration system has been deactivated. Program registration, including Strong Kids Run registration, is available in person in the branch or over the phone. We anticipate the new online registration system will be operational by May 13th.